So, how does someone who is inexperienced and losing money, or achieving very mediocre returns work out what they should be doing? In this article, we uncover the 10 top share tips that will dispel many of the myths that are holding you back from achieving long-term wealth in the stock market. A concept that has dominated the financial services industry for decades is the notion of dollar cost averaging. 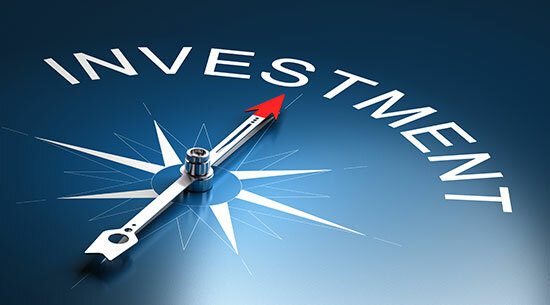 According to industry experts, dollar cost averaging can reduce the risk of investing in volatile markets and helps to avoid the so called pitfalls associated with timing your entry into market. The concept involves depositing a fixed dollar amount into an investment at regular intervals over a period of time, regardless of whether the market is moving up or down, so as to average the price at which you purchase the asset. Let’s see how it works. As shown in Table below, let’s say you invest $200 every three months into a unitized fund that initially had a unit price of $20. Over fifteen months, the market rises and then falls (causing the unit price to drop to its original value). In this instance, while we invested $1,000 over fifteen months, we are now in a loss because we only have 43.32 units at $20, which equates to $866.60. Imagine if you invested in a fund that continued to trend down for years. I obviously don’t need to say anymore! The real emphasis with this strategy is the inability of the investor to time the market; consequently, they are encouraged to invest smaller amounts over long periods of time to take advantage of the fluctuations in the market. However, in my opinion, this strategy is flawed because not only has the investor lost the opportunity to invest their funds in assets that are rising in value, but they are taking higher risks investing in assets that are potentially falling in value with no guarantee of making a profit, which is ludicrous in anyone’s book. Unfortunately, many newcomers to the stock market mistakenly believe that buying cheap is the best method for achieving higher returns. But this belief not only costs you money, it usually hinders your ability to generate profits because you are investing your faith in speculative stocks. In other words, you are speculating that a cheap stock will perform better than a solid blue chip stock. In my experience, anyone buying a stock that is perceived to be cheap but still falling in value is gambling on a recovery at some stage. Unfortunately, buying cheap is fraught with danger and often a costly mistake. Indeed, when investors buy cheap stocks trying to get a good buy, they usually end up saying goodbye to their money. Therefore, your aim should always be to buy quality stocks, not quantity, because this is where you will get the greatest gains. Probably the most perpetuated myth in the financial planning industry is that you should buy and hold for the long term. The reason why most of us hear these words is because the industry cannot time the market. The funds are simply too large to manoeuvre with any speed. Consequently, the public is cautioned through advertising slogans about the perils of market timing. But accepting that time in the market is more important than timing the market is probably the greatest downfall of anyone wanting to beat the market average. Unfortunately, the majority of investors who have adopted this approach are achieving mediocre returns, at best, simply because all of the gains they achieved in a bullish market are usually decimated when the bears take control. In my experience, if you take a more active approach, it will allow you to participate when the market is bullish and to sit on the sidelines when the market is moving sideways or down. Unfortunately, poor use of leveraging leads those who are unskilled to trade on emotion, chasing the market in the hope of attaining riches. Ignorance and overconfidence abound, particularly when trading highly leveraged markets such as Forex or Contracts for Difference, as people often mistakenly believe they can handle the fluctuating extremes that these markets present. The sad reality is that, for most, trading highly leveraged instruments is like giving the car keys to a ten-year old and telling them to go for a drive. The truth of the matter is that unless you have proven to yourself that you can profitably trade stocks directly, you should never consider trading leveraged markets. If, once you have this experience, you are adamant that you want to trade leveraged markets you should never invest all of your available capital and never leverage beyond 50 percent of your total portfolio. Many investors react to market conditions, stampeding up the mountain when the market is rising and sliding down just as fast when the market is falling. Unfortunately, this mentality is proliferated by the daily market reviews and sentiment expressed in the media. So what is it that drives us to follow the herd, particularly in the stock market? Commonly, investors will follow the herd to avoid the possibility of feeling remorse in the event that their decisions prove to be incorrect. 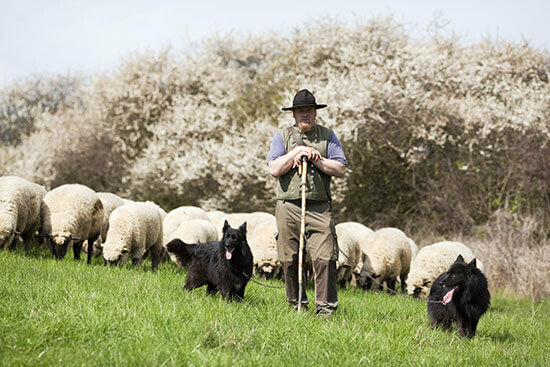 Herding also reduces the time required to properly analyse an investment decision on the basis of the belief that if everyone else is buying, someone else must have already done the required analysis. The reality is that many investors would rather purchase a stock that others are also buying in order to seek comfort in the knowledge that they are not alone in their decision making. It also enables investors to rationalize a stock that starts to go down; since everyone else thought so highly of it, it makes sense that they did too. But in my experience it is wise to take a contrarian view to investing, which is supported by Warren Buffett, who once said: "It is better to be fearful when others are greedy and greedy when others are fearful." A common misconception held by many who trade the stock market is that they only need to be armed with the knowledge of how to pick the best trades but this ignores the importance of knowing when to exit. One of the most important aspects to successfully trading the stock market is to protect your capital. In the event that you are wrong and the share price moves against you, it is imperative that you apply a stop loss before entering a trade. A stop loss is simply a price point where you sell a stock to preserve capital if the trade turns against you. Therefore, I always recommend that you use a stop loss of 10 to 15 percent depending on the volatility of the stock. Always take the same amount of time researching your options to ensure you are protecting your capital on each and every occasion. Always aim to have between five and twelve stocks in your portfolio. Never invest more than twenty per cent of your total capital in any one stock. Only ever invest ten per cent of your available capital in trading short-term highly leveraged markets and allocate the remaining ninety per cent to trading a medium to long-term portfolio. The top 50 shares by market capitalization in any market achieved their status for one reason – they are the best performing stocks in the market. Therefore, it makes sense to stick with a good thing. Unfortunately, too many believe, blue chips are slow in generating returns and instead prefer to take higher risks by investing in penny dreadfuls. Although contrary to popular belief, if you invest in top quality stocks and take a low-risk methodical approach to investing over the long term, nine times out of ten, you will achieve far higher returns than if you try to beat the market by picking the next boom stock or investing in penny dreadfuls. This is because it is important to understand that it is not how much you make on any one investment that makes you wealthy; it is how much you do not lose over time. It seems that today, more than ever before, when I talk to people who want to learn how to trade, they tell me that their end goal is to “day trade” for a living. When I ask what day trading means to them, I usually get a myriad of responses based on ignorance because, all too often, individuals fall prey to the myth that trading more often means they will make far more money. In reality, the opposite rings true. The reason for this is that many people are taught to trade using daily charts. But this is like having your face planted up against a brick wall; you are unable to see the bigger picture of what is actually unfolding on a stock or in the market. From experience, individuals who trade less, using weekly and monthly charts, make far more money and experience far less stress. Indeed, they have learnt how to trade in order to obtain a certain lifestyle as opposed to making trading their lifestyle. We have all heard the saying “don’t put all your eggs in one basket”. There is good reason for this - quite simply, if you put all your money into one investment and that investment turns sour, you stand to lose all your money. Therefore, it makes sense to have a well diversified portfolio invested across different asset classes. However, many in the investment industry also suggest that you should over-diversify within asset classes to minimize your risk further. Unfortunately, in the stock market, this can not only dilute your investment returns but increase your overall risk because you require more time, knowledge and effort to manage your stocks. It will also condemn you to investing mediocrity. If you want to get better returns in the stock market, it makes sense to simply get rid of the stocks in your portfolio that are going sideways or down. After all, we only want to hold stocks that are rising in price, don’t we? Assets that move sideways or fall in price have a negative effect on your overall ability to create wealth. If a stock is falling in price, it increases your risk and reduces your overall returns. Therefore, holding these types of assets should be minimized, if not eliminated. Unfortunately, ignorance in the stock market can be very expensive. Many who have told me in the past that they could not afford an education have lost significant money either in a bear market or because they have not received a proper education in how to trade the stock market. As our clients will tell you, when it comes to trading the stock market, your first investment should always be to educate yourself. In fact, let me ask you this simple question: would you be confident if someone else gave you their money to manage based on your current knowledge and experience? When I ask this question to those who have read books or simply attended weekend workshops, the majority tell me they wouldn’t. In my experience, anyone who believes they will make a lot of money quickly based on sparse education is on the fast track to going broke. In reality a proper education will ensure that you stop losing and truly start making money. But don’t take my word for it, view the reviews and testimonials of our clients. So there you have it, the 10 top share tips for creating real wealth in the stock market. All of these tips are outlined in more detail in the my latest book, Accelerate Your Wealth, It's Your Money, Your Choice!